Kingstonjr Lite | Seeking Balance in an Unbalanced World. Ten Songs. No particular theme or vibe. Or is there? Enjoy! 10 Songs. For a Tuesday night. No particular theme or vibe. Or is there? Few things scream the 80’s like a John Hughes soundtrack! A #TBT mix of some of the songs I was listening to during the fall of 2001. Enjoy! 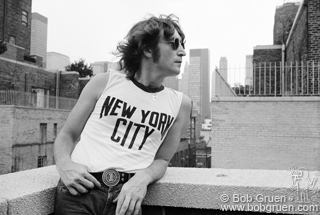 In celebration of what would have been John Lennon’s 75th Birthday today, October 9, 2015, here’s a baker’s dozen of some of John’s songs that I put together. Not at all definitive, and not necessarily his most popular, but some damn fine tunes that you may or may not hear elsewhere today. Enjoy!